The process of forming the new man is a real mystery that is at the mercy of the mother nature. Strange but true - everyone was once a zygote. So what is the zygote? A zygote is diploid cell, which is formed by the fusion of gametes, male reproductive cells (sperm) and female reproductive cells (ovules). Deployment the zygote is a full (double) set of chromosomes. To develop the zygote begins immediately after successful fertilization (fertilization). 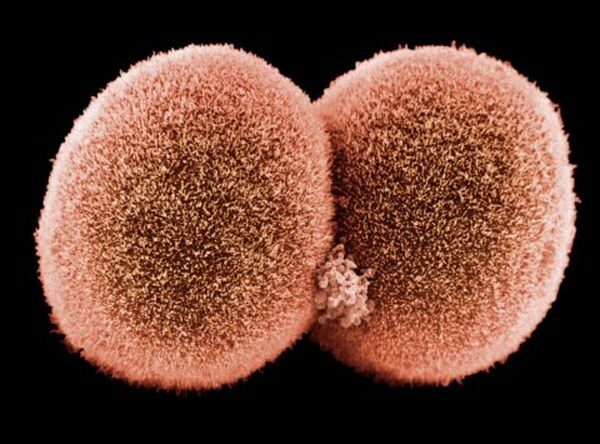 The term "zygote" was introduced by German scholar Edward Strasburger, at the end of the 19th century. This famous botanist, made a significant contribution to the Cytology and the chromosomal theory of heredity, showing that the cell division processes occur roughly to the same pattern in plants, in animals and in humans. After fertilization the zygote goes to the uterus of a woman, the way they develop and the state. The first mitotic division of the zygote in a woman's body usually occurs within 30 hours after fusion of gametes. This process is delayed due to the duration of preparation for the first act of crushing in a complex human organism. Cells that were formed by crushing of the zygote are called blastomeres. The first division of the zygote are considered to be fragmentation, as between the divisions there is the stage of cell growth, daughter cells after each division becomes smaller. In other words, the zygote really crushed until then, until it formed a Bud. One of the properties of zygotes – totipotency. It is expressed in the ability of cells to divide and form tissues of the embryo. The zygote embedded in the uterus, potentially leading to full development of a human embryo, if you will not meet any major obstacles. To prevent development of a zygote may variety of factors, for example, rare chromosomal anomalies (mutations), the use by mother of alcohol, nicotine, drugs, certain drugs, the transfer of serious viral diseases, etc.